British World No. 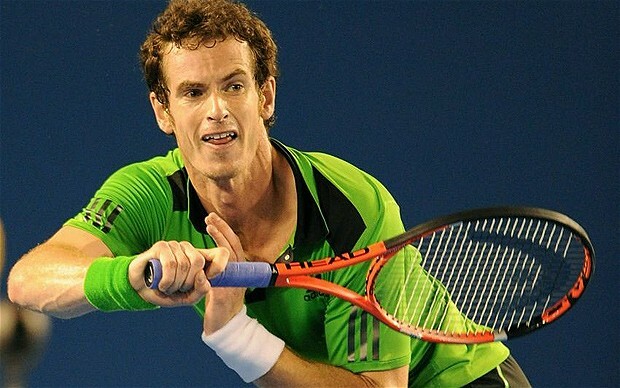 5 Andy Murray has defeated the Spanish World No. 7 David Ferrer in a semi-final match to advance to the Australian Open final to be held on Sunday. In an intensely fought four sets Murray prevailed (4-6, 7-6(2), 6-1, 7-6(2)) to defeat the the Spanish to set up a clash with Novak Djokovic for the Australian Open Championship match. Last year Murray was the runner-up here at Melbourne, as Federer went on to win the championship. Federer lost to Djokovic in the semis in straight sets. By this Andy Murray will be bidding to become the first British player in 75 years to win a Grand Slam. The last British to win the Grand slam was Fred Perry who won the Australian Open in 1934. Andy Murray by now is the only British player in the Open Era to reach three major finals, and would desperately challenge the Serbian , to hold the honour once again.